A financial crisis with the state of Missouri budget caused by a significant drop in expected state revenue will impact state-supported colleges and universities throughout the remainder of Fiscal Year 2017 and in Fiscal Year 2018. Q: What should alumni and friends know about the current state of the Missouri budget? A. UCM learned in late January that Missouri Gov. Eric Greitens and the legislature plan to withhold $55 million in core funding for the state’s public four-year universities and $12 million for two-year public colleges for the remainder of Fiscal Year 2017. This results in a loss of $4.15 million in state support for UCM this year. Additionally, Governor Greitens on Feb. 2 unveiled his state budget proposal for Fiscal Year 2018, which will result in an additional revenue loss.As part of a plan to trim state funding by $572 million, the governor’s budget proposal calls for a $159 million (12 percent decrease) in state appropriations for Missouri higher education institutions, with most of the cut coming from public universities. If the General Assembly approves the governor’s budget proposal, this would mean the recently announced $4.15 million withholding for UCM for FY17 would become permanent, plus the university would lose another $1.2 million in state revenue in FY18, resulting in a nine percent year-to-year decrease. Q. How will this specifically impact: The university? A. Many questions still remain about the future of higher education in terms of legislative priorities, but all of the legislative increases and incremental gains UCM has received through performance funding or through the appropriations process during the past eight years essentially will be gone due to making the FY17 withholding permanent. While UCM already has taken steps to meet financial challenges through initiatives such as our Strategic Resource Allocation Model (SRAM), our continued success amidst the serious challenge of declining state financial support will require an unprecedented campus-wide effort. All administrative and academic areas will be called on to support our individual and collective work in managing this new financial reality. Our Budget Work Group, which was created as part of the SRAM development process, has worked with the administration to create a plan to deal with the FY17 withholding, and will continue working to help plan for the FY18 reduction. Adding to the financial challenges these state reductions in revenue pose for UCM is action taken at the federal level that may affect our international student enrollment from certain countries. This includes the recent Executive Order temporarily banning immigrants and refugees from seven Muslim majority countries - Iran, Iraq, Libya, Somalia, Sudan, Syria and Yemen - from entering the U.S. We are continuing to monitor this situation to understand its full impact on UCM, but any reductions in student numbers can have a direct impact on the institution financially. Q. How will this specifically impact: Current students? A. Anytime there is a significant loss of funds, it creates challenges for the university, but our focus remains on student success. UCM must continue to stay true to who we are as an institution and our own established and proven “value proposition,” which has successfully connected with students and parents as they make choices about their higher education. Currently, we are doing everything our state and nation says we should be doing in public higher education – we’re holding costs down, and focusing on getting people across the finish line with degrees; we’re making progress in mitigating college student loan debt, and increasing student graduation rates. Through such efforts, UCM is putting students in a position to be competitive, which contributes to a stronger economy and ultimately our financial strength. Although some tuition increases may be necessary in this changing higher education environment, our university goal is to seek other sources of revenue so that we can keep the cost of a college diploma affordable and help reduce student debt load. Q. How will this specifically impact: Prospective students? A. Higher education is becoming more competitive in Missouri due to a smaller pool of high school graduates. Keeping the cost as low as possible helps make UCM accessible, and is attractive to students, but we also must continue to maintain a high quality education that serves diverse student needs. This includes many adult learners who are looking for opportunities to advance their careers through additional education, as well as meeting workforce needs. Amidst declining state support, UCM will continue to explore opportunities to ensure it is making higher education opportunities available for all individuals who want and need them. Their success has statewide benefit through a well-trained workforce, which ultimately helps our economy, and is important to the university’s future growth. Q. We know you’re very involved at the state and national level as an advocate for ensuring higher education is accessible and affordable for all students—will you fill us in on your recent efforts? A. It is important that we continue to share information about what UCM is doing to address issues that are important to parents and their students. Additionally, it is a great source of pride when anyone from UCM is asked to meet with state, regional, and national groups who look to the university as an example for other institutions to emulate. Since the beginning of the academic year, I have represented UCM as a participant on panel discussions and as a speaker for groups that include Minority Serving Institutions, USA Funds, and the Midwestern Higher Education Compact. I was part of the dialogue related to helping to prevent obstacles that stand in the way of a higher education, including accessibility and affordability; increasing opportunities for minorities at colleges and universities; and the work we are doing through The Missouri Innovation Campus. I also travel frequently to Jefferson City to visit with legislators about our needs as an institution and for Missouri higher education in general. Our state and national leaders must be aware that UCM is an innovator that cares about student success, and business as usual in today’s higher education climate, is no longer the norm. We must continue to make legislators aware that higher education is a good investment for Missouri. Q. Why is a college education important? A. In today’s highly competitive job market, higher education is among the best ways to obtain knowledge and skill proficiencies that are needed to help an individual fully reach their career goals. A strong relationship exists between unemployment and degree completion, according to the U.S. Bureau of Labor Statistics. Not only is unemployment greater among those who have only a high school diploma, compared with college graduates, but average salaries grow with each level of degree completion, from an associate to a graduate degree. Moving up in the workplace also is more common as students earn a degree and demonstrate the ability to take on more responsibility and meet new challenges.Also, a university provides a venue in which students can network with other individuals of similar interest and experience volunteer and service learning opportunities that teach them the value of giving back to others. This benefits students the rest of their lives. It also provides the communities and state in which they reside a valuable pool of well-educated, service-minded professionals who can serve in community and civic leadership positions, meet a demand for skilled employees, and ultimately help local economies to grow. Q. 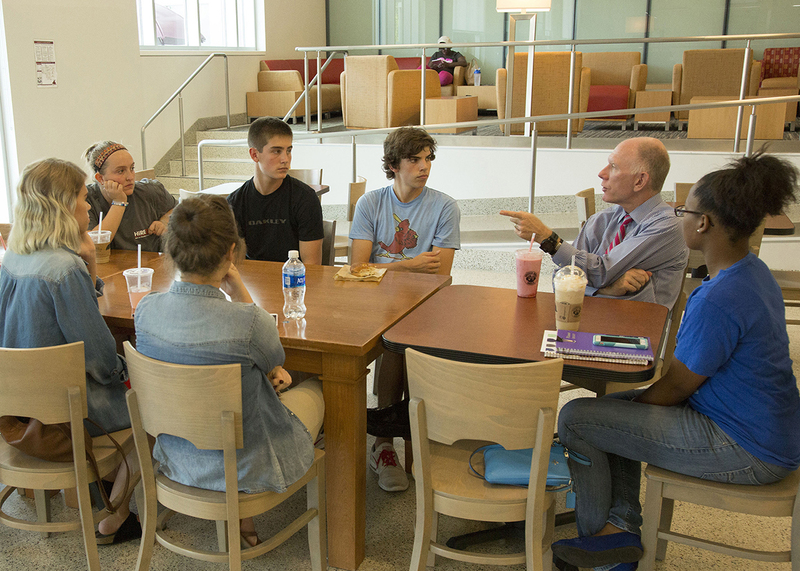 What are specific actions that alumni and friends can take to support student success at UCM? A. If you are someone who has been giving regularly to the UCM Foundation, we thank you for your past support and encourage you to continue providing financial assistance that will help UCM to meet needs, particularly in areas such as funding student scholarships. If you have never given before, we invite you to take advantage of opportunities to do so. Your gifts are needed to help us create opportunities for more students to realize their education dreams at a time when state funding is declining. Your support is critical to our ability to serve students and continue to maintain the strong value proposition that UCM offers. We value your financial support, but also encourage you to take advantage of any opportunities you may have to urge your legislators to support Missouri’s public funded colleges and universities, as well. Q. Why is the support of our alumni and friends more important than ever before? A. With these recent state withholdings for FY17 and reductions in appropriations for the next year fiscal year, there appears to be a new reality in Missouri higher education as legislators place more and more of the financial responsibility for supporting our state universities on the institutions themselves and their students. While there is still some uncertainty about future funding for the state’s public two-year and four-year higher education institutions, making up for the loss in revenue by increasing tuition and shouldering the financial burden onto our students and their families is not a sustainable long-term solution. In fact, doing so could price a college education out of reach for many students. We know that many UCM alumni have experienced the value of a UCM degree, and they have a strong appreciation for the faculty and staff members who influenced them and aided them in their professional development. Now is a critical time for higher education. We hope more of UCM’s 90,000-plus alumni will pay it forward so that others can enjoy the same opportunities that contributed to their success and their ability to experience learning to a greater degree. 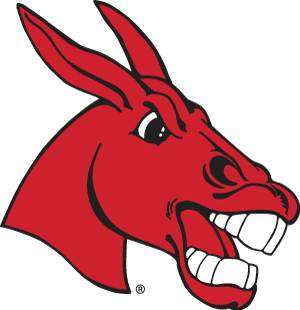 Support UCM by making a gift.